Here's a recipe Chris has been asking me to add to the blog since the first time he had it. 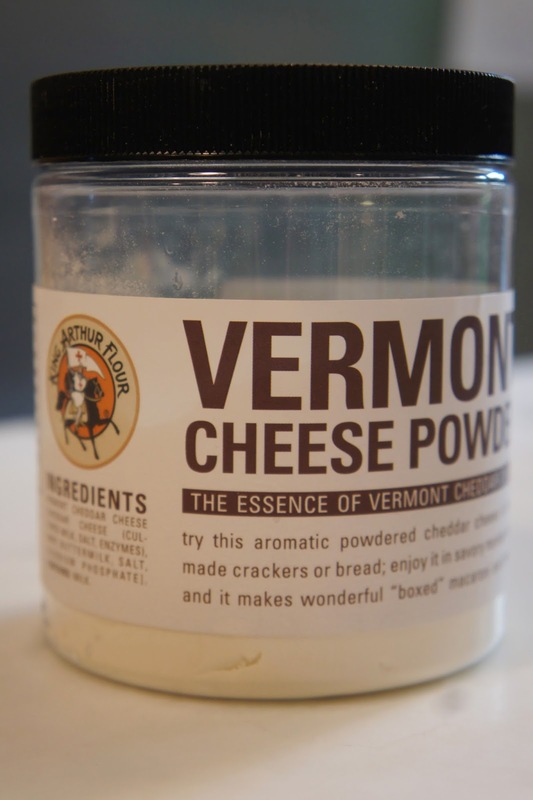 Some time ago, I was perusing the King Arthur Flour website and came across this fabulous product: Vermont Cheese Powder. I was thinking Whirly Pop cheese popcorn at the time, but once it arrived, I decided to add it to rice one night as a side dish. Success. This recipe is made for an electric rice cooker, and more specifically the rice cooker I own. If you eat a fair amount of rice, go and get one, or order one on Amazon. I'd say mine is the best counter top appliance I own. It is so easy and failsafe, I wouldn't want to go without it. Sauté the onions in the butter over medium heat until onions are translucent and softened. Add the rice and continue to sauté for another few minutes. Add the rice and the chicken stock to the bowl of the rice cooker. The two combined should go up to just above the number 2 line on the inside of the bowl. Stir in the cheese powder, making sure it is fulling dissolved. Turn the rice cooker on and wait for the magic to happen. This takes about an hour or less depending on your cooker. Not too long to wait for magic.